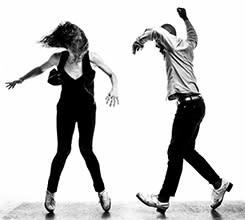 Dorrance Dance is an award-winning dance company that aims to honor and expand America’s original art form: tap dance. The company’s inaugural performance garnered a Bessie Award for “blasting open our notions of tap.” Founder Michelle Dorrance was awarded a 2018 Doris Duke Artist Award and has been called “one of the most imaginative tap choreographers working today" (The New Yorker). The program includes the exhilarating Myelination (2017) set to live, original music; the rarely seen, Bessie Award-winning Three to One (2011); and the whimsical Jungle Blues (2012).